Required minimum distributions, or RMDs, are congressionally mandated distributions from a qualified retirement plan. RMD rules dictate the minimum amount you must withdraw from your account every year beginning by age 70½. These rules are in place so the Internal Revenue Service can start taxing income that had previously been in a tax-advantaged account such as a 401(k), traditional IRA, or SEP-IRA. Taking the time to understand how RMD rules work is an important part of everyone's retirement income planning process. According to RMD rules, starting with the April 1 after you reach 70½ years old, you must begin taking annual distributions from your qualified retirement plans. For all subsequent years, including the remainder of the year in which the first RMD distribution occurred by April 1, you must take an RMD by December 31 of the year. The amount you must withdraw is based on the value of your accounts at the beginning of the year for which you are required to take a distribution. That total is then divided by your life expectancy as determined by the IRS. A separate life expectancy table is used if the sole beneficiary is the owner’s spouse who is 10 or more years younger than the owner. The IRS's website has worksheets that can help you figure out your minimum distribution for the year. There are also online calculators that will do the same job. Many retirement plan custodians or financial planners can help you calculate your RMD, but keep in mind they are not required to do so. For most retirees, RMD rules have no real impact on how they use their retirement funds, as most begin to take distributions well before age 70½ as a means of obtaining income for their retirement. Most retirees also withdraw more than the minimum amount. 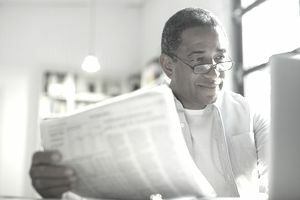 For those fortunate retirees who have other sources of retirement income or who might otherwise not spend the assets in their qualified retirement accounts, the RMD requirements kick in and create taxable income. And just like any other retirement income, you can put your RMD towards living expenses, a taxable investment account, or a monetary gift to charity. The only thing you cannot do is reinvest the money in another qualified retirement account. If you are still working and contributing to a qualified plan like a 401(k) at age 70½, you may be permitted to delay taking your required minimum distribution, but it will depend on the rules of your plan. Otherwise, by April 1 after you turn age 70½, you are required to start taking distributions that will be counted as part of your taxable income. The penalty for not taking an RMD is steep: It's a tax of 50% on the amount that was not withdrawn in time. It is important to note that Roth IRAs are not subject to RMD rules unless they are inherited accounts, in which case different rules for distributions apply. However, Roth 401(k)s are still subject to required minimum distribution rules. You can avoid taking RMDs from a Roth 401(k) by rolling the account over to a Roth IRA. You can learn more about all the account types subject to RMD rules and other information about RMDs by visiting the Internal Revenue Service's FAQ page on RMDs.